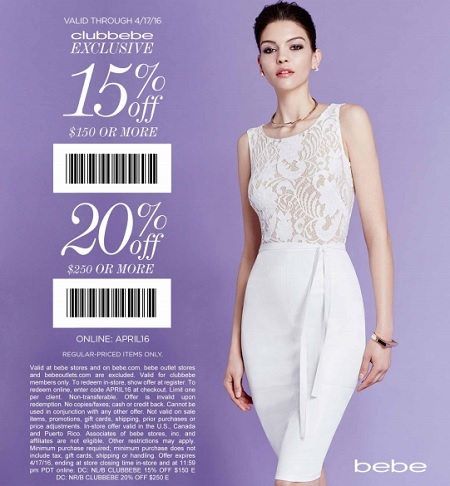 Only hours left when you can save money at bebe store locations in the U.S. Print your coupon, bring it to your nearest bebe store location and spend $150 or more and get 15% discount on your purchase. Or, spend over $250 and get 20% discount. Coupon must be printed to receive the offer. Source of the information is bebe. Offer expires today 04/17/2016. For more details visit your nearest store location.